The standard dishwasher is a modern-day convenience many of us utilize with a great degree of satisfaction. This economical water-saver offers much relief when it comes to daily chores. In fact, Energy-Star rated dishwashers use, on average, as little as three gallons of water per load. On the other hand, washing dishes by hand consumes up to 27 gallons of water per load! Modern appliances like the handy dishwasher are a built-in time saver as well as an environmentally friendly machine. Dishwashers, like most kitchen appliances, are built to last. Many offer years upon years of convenience. On occasion, these dependable appliances have a tendency to leak or break, causing utter devastation within the kitchen. Not only is the automatic dishwashing convenience temporarily halted, but the damage that results can be an expensive fix. The suds and dirty water that leak from a broken dishwasher can seep into your kitchen floorboards within minutes. Mold growth occurs within as little as 24 hours. So unless you detect the flood sooner rather than later, you’re in for a costly cleanup. Periodically inspecting your handy dishwasher for leaks or potential problems is a tedious task, but one that will save you significant labor expenses and, perhaps, a high-cost replacement. The dishwasher is a tidy and prim device, with all the central hoses and components tucked neatly away inside. The appliance seems relatively uncomplicated. Checking your dishwasher takes a little familiarity with its inner workings. So where do you begin? What is a gasket? The gasket is a rubber lining that keeps the suds and water from leaking out of your dishwasher anytime it operates. Easily check the functionality of the gasket with, first, a visual inspection for any obvious wear, and second, a piece of paper. Close the dishwasher door upon the paper. If the paper can be easily removed when the door is closed, a tight seal is not in place. Replace the gasket in this instance. 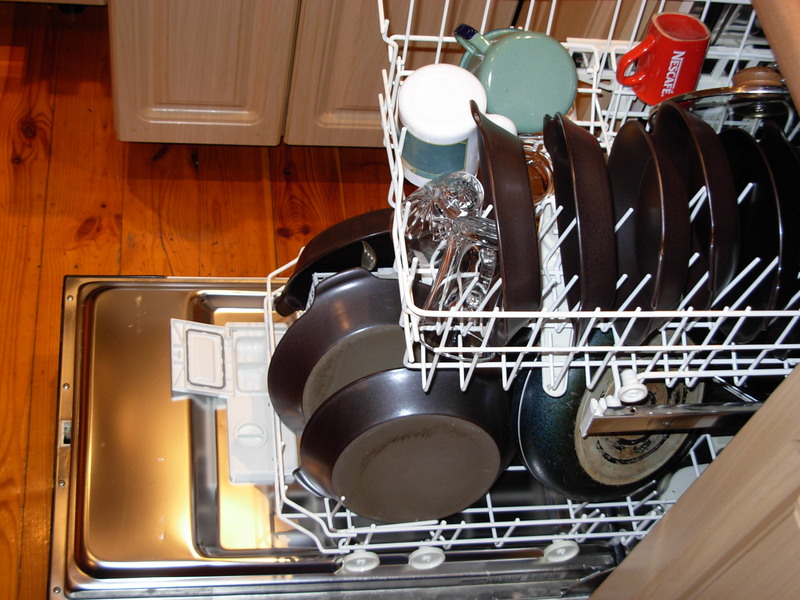 In general, an operational dishwasher’s water level will remain at the lowest part of the dishwasher door. 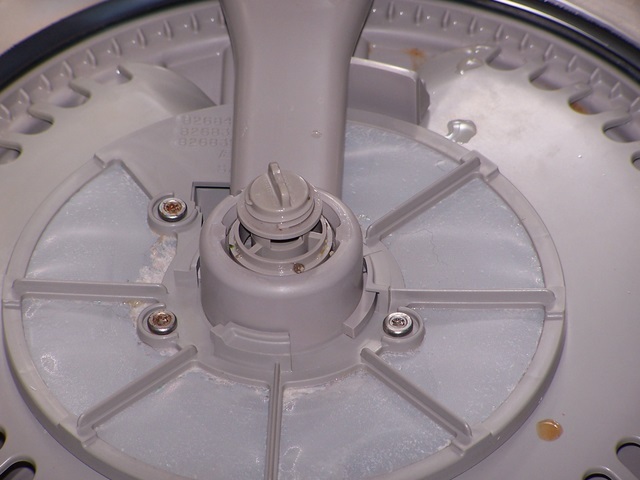 Upon running the dishwasher, if you notice the water level to be higher than the edge of the door when you open it just prior to the wash cycle, the float switch could be damaged; or, food particles may have clogged the strainer. Simply remove the strainer and thoroughly rinse it to remove any debris. If the water level continues to be high, replace the float switch. Dishwashers come equipped with two hoses, one that fills and one that drains. Prior to inspecting the hoses, be sure to turn off the power to the dishwasher from the breaker box. You can check the hoses by removing the lower panel of your dishwasher. If you see any traces of wetness, the hoses may be too worn to operate efficiently. Significant water damage is likely to result over the long run. An additional method to check for the functionality of the hoses is to place a piece of paper underneath the hoses. If the paper becomes wet or saturated at any point, replace both hoses. Also check for and undo any kinks in the hose. An unexpected leak may spring if you do not perform periodic checks of the dishwasher’s internal mechanisms. Soapy suds that spread along the kitchen floor leave more than watery puddles to clean up. Developing mold spores are a cause for concern. Plus, in no way is it safe to step into a wet kitchen floor with a malfunctioning electrical appliance. The combination of electricity and water is extremely dangerous. All is not lost, when you are aware of the steps necessary to remediate the sudden mechanical failure. First, turn off the electricity to the kitchen. 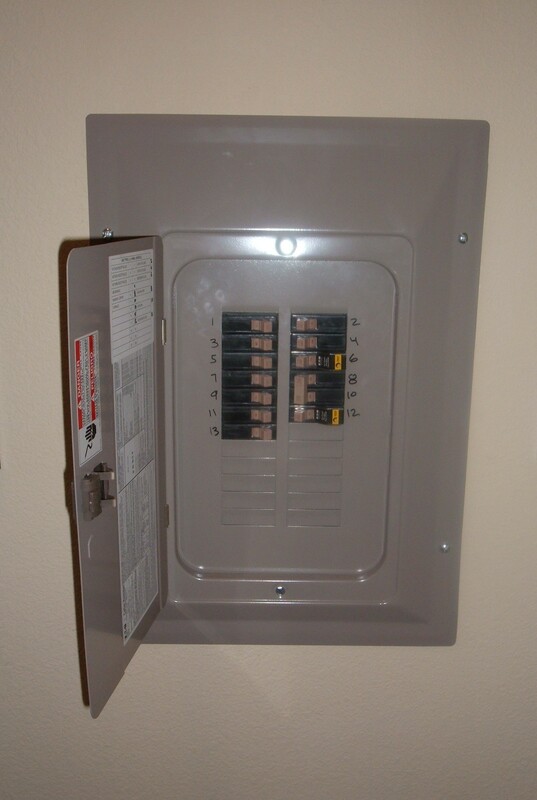 This safety precaution ensures that leaking water and electricity do not mix. Advise your family that the kitchen is off limits until the dishwasher is safe to use once again. A quick reaction is necessary to prevent additional water damage to the flooring or paneling of surrounding cabinets in your kitchen. Find the waterline that works in conjunction with your dishwasher. You’ll likely locate this under the kitchen sink. Turn the valve clockwise completely to shut off the water to the dishwasher. Once the water source is turned off, take this time to examine the cause of the flooded dishwasher. Soak up any water that leaked onto your hardwood flooring, kitchen tiles or surrounding cabinetry. Hardwood flooring and wooden cabinets absorb water easily, creating a risky environment that encourages mold growth or discoloration and damage to surfaces, including swelling and warping. Swift action can prevent mold spores from contaminating the space as well as reduce other unfavorable conditions. Once water seeps deep into the kitchen flooring and cabinets, the resulting damage is difficult to remediate without professional help. Water damage restoration professionals are trained and experienced in all facets of water extraction and drying. 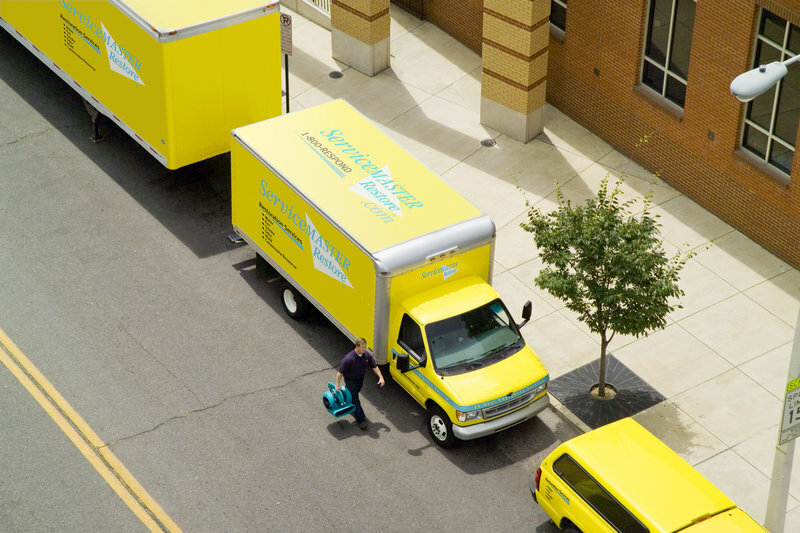 Reputable companies like ServiceMaster by Restoration Contractors are immediately available to eliminate the standing floodwater that easily and effortlessly penetrates surfaces. Advanced water-extraction machinery is the most effective method used by trusted water damage restoration experts to thoroughly dry water-damaged areas, furnishings and structures. When your dependable dishwasher suddenly interrupts your peace of mind with an unexpected leak, water damage restoration experts are a phone call away. Service technicians are available 24 hours a day in the event of emergencies to thoroughly remediate the results of any and all water damage.